How do we ‘grow’ an athlete in New Zealand? Most budding athletes yearn for a place on the podium. To get there it takes a combination of genetics, training, hard work, good coaching, time and most of all the ‘right’ food. How do children and parents know: the ‘right’ quantities and types of foods, what to eat and when, in order to get sufficient power to cross the finish line? When should children learn about sports nutrition and who should teach them? To answer these questions we need to first look at sports development in New Zealand. The Young Peoples Sports Survey series 2011, which looked at participation in sport of over 17,000 children (5–18 years) from over 500 schools in New Zealand, found 80% of children participated in organised sports at least 3 hours per week. Many spent long hours with additional training in more than one sporting code. And while older 15–18 year old girls and boys spent less time training, the level of commitment of 7–14 year-olds in both genders increased with age. The survey also found that almost as many 10–14 year old children were involved in regional and national levels of competition as older children. In a recent report on youth sport The International Olympic Committee (IOC) has expressed concern that performance of many developing athletes is being thwarted because their nutrient and energy intakes are not keeping pace with their training regimes. Many young athletes are slipping through the cracks. It is estimated that only around 30% of young people go on to become elite athletes. What happens to the other 70% of children? This drop out rate could be high because older children get busy with school and other commitments, but could also occur because children become exhausted and disillusioned. While early specialisation can suit some sports such as gymnastics, ballet, figure skating it can also lead to more injuries, over-training and burnout. As play becomes more serious practice, and the focus moves to the outcomes of sport rather than the process of skill development, all the fun can evaporate. Research shows that encouraging diversity or multi-sport opportunities offers more enjoyment, engagement and safety. This also helps athletes to develop a greater range of motor skills and to get a broader appreciation of working with “others” i.e. other athletes, coaches and support staff, and thereby helps to build a “culture” of excellence in sport. It might seem obvious but children need time to develop physically, to build muscle and bone strength, a strong cardio-respiratory system etc. As they sexually mature their physiology changes; mentally they develop a greater range of cognitive and social skills and refine their senses. Often developing athletes also need help to manage pre-existing health issues, to develop good sleep patterns and to develop self-management skills. So while children may idolise their sporting heroes and wish to be just like them it is important that children (and their well-meaning parents) understand it takes time to grow an athlete and that if they take the time to do this properly and allow the development of their own innate skills, they may in fact surpass their heroes records when they mature. This is not to say that very young athletes can’t develop early however they do need specialist help, supervision and age appropriate information to do so. What do children need to know about nutrition? Baseline nutrition: What to eat each day to meet energy and nutrient needs for growth and activity of at least 1–1.5 hours /day. Children with special dietary needs e.g. diabetics, asthmatics, over weight, allergies etc also need to know how to manage their extra nutrient concerns on a daily basis and for this should work with a Registered Dietitian. Sports nutrition: This builds on baseline nutrition allowing for the extra nutrient and energy needs for training and competition. This should cover subjects such as what to eat before, during and post-exercise recovery along with the needs of specific types of sports. Performance nutrition: This relates to specialization in sport where athletes at their peak level of sporting development refine their baseline and sports nutrition plans to suit a specific event. Ideally this should be age appropriate, planned, supervised and delivered by sports dietitians and nutritionists working as part of an inter-disciplinary team within High Performance Sports NZ (HPSNZ). 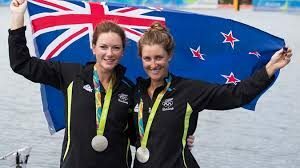 Currently HPSNZ have an excellent Pathway to Podium (P2P) program for 350 developing athletes aged 17–23 years (13–14 year old paralympians) and 150 coaches. Unfortunately for many young athletes this program is coming too late. What are some of the barriers facing developing athletes? People who are not qualified to give nutrition advice: fitness gurus, personal trainers, well-meaning coaches and parents, celebrities etc. with their own agendas. Mental illness e.g. Orthorexia in search of diet ‘purity’ and other eating disorders associated with energy deficiency. Advertising from multi-national companies and sports sponsorships in schools promoting takeaways, confectionery and beverages which is contributing to problems of obesity and diabetes in NZ. Promotions of internet sales of dietary supplements which raises concerns regarding unintentional doping by athletes. Everyone has opinions these days about what a healthy diet is, which can distract athletes from their basic needs. For athletes with health problems e.g. gastro intestinal upsets or food allergies, self diagnosing can leave serious health issues untreated. While nutrition surveys of athletes are lacking the 2002 Children’s Nutrition Survey in NZ have identified that children in 11–18 year old age group have low intakes of energy (at the higher end of requirements), dietary fibre, calcium, selenium, and iodine while their sodium levels were 125% of their optimal needs. Iron levels were low for 15–18 year old girls. These factors are important to growing athletes if they are keen to remain healthy and reduce training time lost due to colds, flu, illnesses such as glandular fever, fractures and other injuries. Basic nutrition education in NZ schools and the community to correct these nutritional shortfalls is lacking. The current NZ curriculum focuses on children developing holistic concepts of health and well –being, attitudes and values and socio-ecological perspective of their environment. This is important however as we now know children from 7–14 years of age need nutrition education and are simply not getting it. There is no nutrition education in primary schools for children 5–10 years of age. There are no cooking classes until year 7–8 (for 11–12 year olds) and then only if the school has access to cooking facilities. There are no food manuals. Although some Home economics teachers (HETTANZ) have made their own cookbooks, teachers rely on their own knowledge. Groups such as the Heart Foundation, vegetable growers and Millennium Institute have stepped into the void to provide resource and teaching guides but the use of these things depends on the schools interpretation of need. There are no training programs for Home Economics teachers in NZ. However teachers with Physical Education (PE) backgrounds or an interest in cooking can teach the subject if they wish. This may not necessarily mean that the foods being cooked are healthy and in any event are dependent on budgeting constraints. In the interests of better health from birth, parents need support from Plunket with sound nutrition information on breast-feeding, introduction of solids and child care for the first 5 years. By 7 years children should be able to make simple breakfast and lunch, with ideas that encourage children to begin preparing simple meals at home. The school environment should also reflect and support healthy food messages being taught in the classroom by offering healthy foods in school canteens that are also free of carbonated drinks, confectionery and high energy snacks. Alongside general nutrition a simple sports nutrition syllabus needs to be developed to reinforce the importance of basic nutrition in sport, advancing in complexity from primary through to secondary school. Nutrition programs need to be supported with teaching resources free of commercial sponsorship and provide clear teaching guidelines for teachers. At sports club level there needs to be specific information available relative to the nutritional needs of each sporting code. Many sports clubs start their programs at 6 years of age. So this information needs to be age appropriate. At HPSNZ level the P2P program needs to be extended to club level and primary schools by providing simple information and updates from sports scientists on topics such as foot care; food hygiene; travel tips; biomechanics for kids; flu vaccinations ; developing resilience and optimism; tips for self-management etc. These types of initiatives are in line with recommendations from the IOC that there needs to be a wider definition of ‘sporting success’ which embodies good health, meaningful and varied life forming experience. If you would like help to assess the nutritional well-being of your young athlete and to develop a sports nutrition plan for baseline, training and competition, then contact us today. Bergeron MF, et al, International Olympic Committee consensus statement on youth athletic development. Br J Sports Med 2015; 49:843-351. Beattie R. The experience of adolescent rowing in NZ: an insight into the influence of attrition in NZ rowing 2014 AUT thesis. MOH NZ Food NZ Children Key results of the 2002 National child nutrition survey. Thompson B, Vannoort RW. Dietary exposure and trends of exposure to nutrient elements Iodine, Iron, Selenium and Sodium for the 2003-4 NZ Total Diet Survey. Brit J of Nut 1998; (03): 614-625. MOE NZ School Curriculum 2007. Next Would activity icon labels alter your food choices?